07 de junio de 201709:07 09Wed, 07 Jun 2017 09:07:53 +000053. 09:07 09Wed, 07 Jun 2017 09:07:53 +000053. At the recent Autopromotec in Bologna we showed for the first time our new 2 post lift with extra FLAT arms for sport cars. The new 4 x 1250mm long arms are so FLAT that you can pick up virtually any extra low profile vehicle. 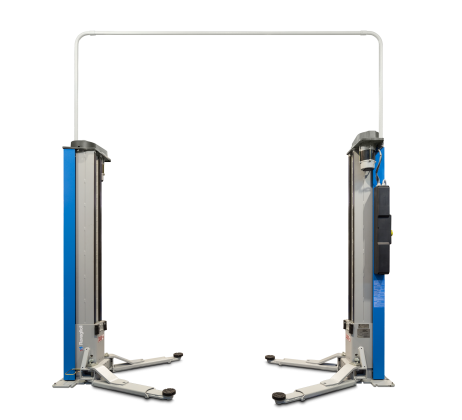 This electonically synchronized 2-motor lift carries 3 ton. Its unique FLAT arms configuration along with the wide distance between the columns (2800mm) open up plenty of opportunities with dealership for brands like Lamborghini, Ferrari, Corvette, Aston Martin, Mclaren etc.. with tuning specialists and with racing teams.